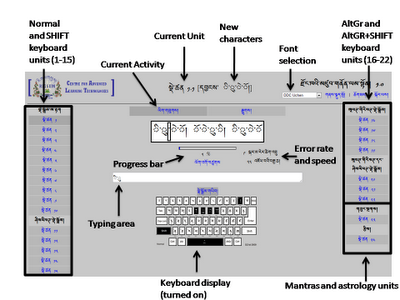 ThimphuTech.com: Want to learn how to use the Dzongkha keyboard? DzType is here! 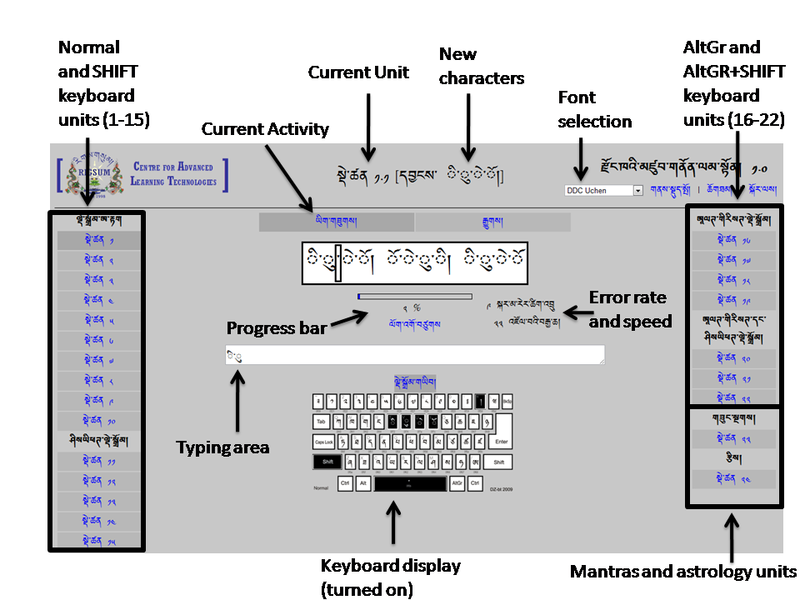 Want to learn how to use the Dzongkha keyboard? DzType is here! We are glad to announce the launch of DzType, a first-of-its-kind web-based application that aids in teaching the Dzongkha Unicode keyboard. Learning to type Dzongkha using DzType is fun and easy. As you move from one unit to the next, you learn how to master more keys on the keyboard. By the end, you will be a pro. The software is free for all. You can run it online or offline (download the package here). Installation is simple and does not require high computing power. Even old and slow computers can be used. The audience for the tool includes schools (today's students love technology! ), colleges, monasteries, and any government, corporate or private organization where individuals can benefit from knowing how to type in Dzongkha. This is the first project of the Rigsum Centre for Advanced Learning Technologies (CALT), who's mission is to research and develop technologies for advancing education and learning in Bhutan.